Price listed is for two charms. 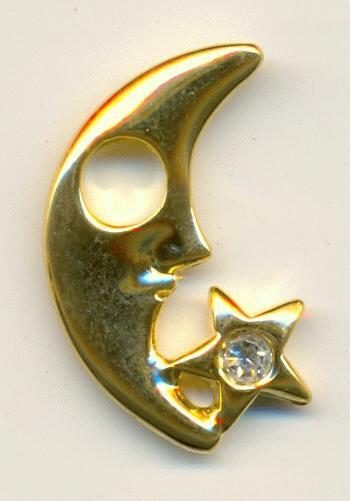 These are gold plated cast moon and star charms that measure appoximately 26mm by 15mm. They do not have a loop. They have a large 5mm hole. Most of these have a 3mm rhinestone in the star. The only thing that makes these right facing is the fact they only have one rhinestone. However, there is a recessed area on the other side for another rhinestone. With rhinestones on both sides there would be not right or left to them.